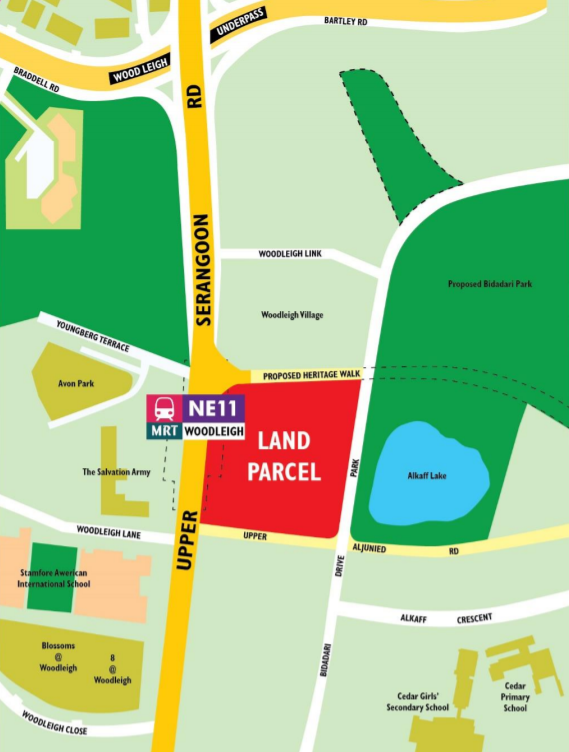 SINGAPOR E – A consortium linked to Singapore Press Holdings (SPH) and Kajima Development has placed the highest bid in a state tender for a 99-year-leasehold mixed commercial and residential site in Bidadari estate. It offered $1.132 billion, which works out to $1,181 per sq ft per plot ratio, for the site in Upper Serangoon Road. The next highest bidder, a tie-up between Far East Civil Engineering and Sekisui House, put in a $1.117 billion offer for the 25,440 sq m site, which can yield about 825 private homes. There were another 10 bids in the the tender, which closed at noon yesterday. The other bidders included GuocoLand, Kingsford, Sim Lian, Nanshan Group Singapore, Blossom Commercial Development, and Chip Eng Seng. An SPH spokesman said: “If the consortium is awarded the tender, it plans to develop a mixed-use development comprising residential condominium units and a retail mall in the upcoming Bidadari housing estate. The head of research and consultancy at JLL Singapore, Ms Tay Huey Ying, described the top bid as bullish, highlighting how it is some 50 per cent higher than the $775 per sq ft per plot ratio paid for the nearby The Poiz Centre and The Poiz Residences mixed-use residential and commercial Government Land Sales (GLS) site in August 2014. The number of bids, she added, showed that developers are confident in the Government’s masterplan for the Bidadari estate. That the highest bid was submitted by a local firm “should arrest some concerns that foreign players are increasingly edging out local developers in vying for development land”. Ms Christine Li, research director at Cushman & Wakefield, added that “this integrated development site is also going to be the first landmark project for the popular Bidadari estate”. According to Cushman & Wakefield Research, over the last 10 years, there have been an average of 6.7 bidders per land tender for large government land sale sites over S$1 billion. The tender for that site, which can yield about 1,955 residential units, will close on July 11. For more information on Upper Serangoon Road project by SPH, simply fill up your information below and our salesperson will get in touch with you shortly!